New Premium plans with reviewed pricing and conditions are coming on 20th of September! 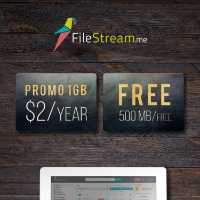 Filestream made Bronze plan 50% cheaper and it will cost only $2,5/month! Atruly introductory offer! New Silver plan will be nearly 30% cheaper and will cost $5/month only! New Gold plan for the power users will be 10% cheaper and will cost $8/month! From now on you will save 30% on buying annual plans and you will get loyalty bonus at the end of each year! All existing Bronze users will get FREE UPGRADE to Silver and discount for next purchase! All existing Silver and Gold users will get significant discount for the next purchase of their subscription! They are introducing loyalty program for the active Premium members! More info will follow. New PROMO plan, loyalty program and restrictions on FREE plan. “Our FREE audience has grown dramatically over recent years and we are forced to introduce some restrictions to free up resources for a growing number of our PREMIUM subscribers. 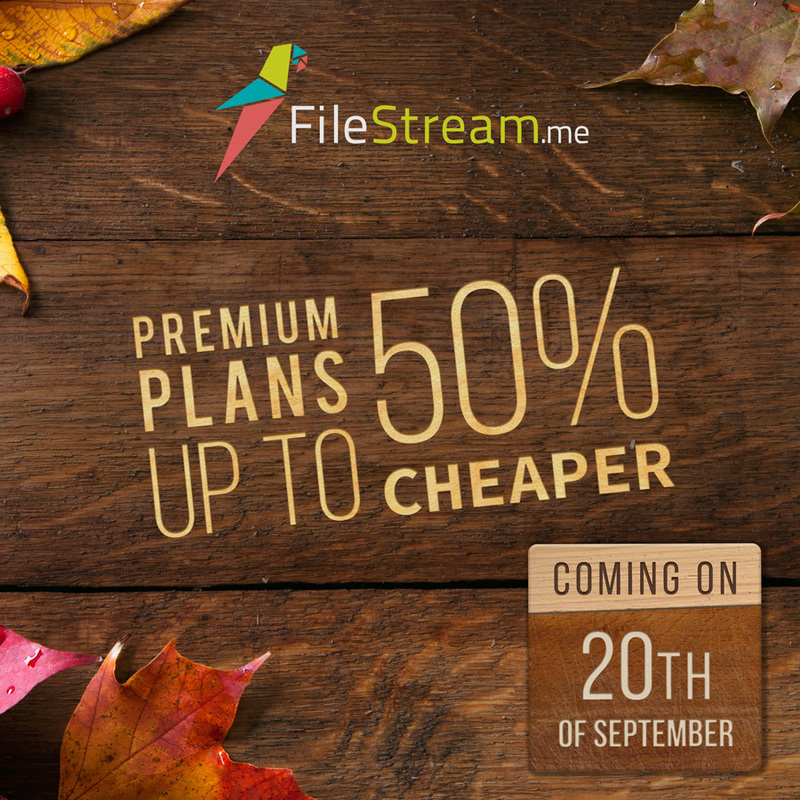 Therefore starting from the 1st of October our FREE plan will be restricted to 500MB per file. However we will offer you PROMO-1GB plan for $2/year only, if you would like to keep 1GB file size for upcoming 12 months. The offer will be valid till 31st of October. So these are the latest news from the upcoming changes that followed FileStream.Me website.